After much headaches and hitches, the Independent National Electoral Commission (INEC) finally conducted the much-awaited 2019 Presidential election on February 23, 2019. Using the results as a basis for assessment, it is clear that the electoral contest has been won and lost. 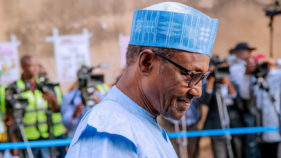 President Muhammadu Buhari of the All Progressives Congress (APC) polled more votes than his other challengers from 72 other political parties to retain the ultimate prize in Nigerian politics for a second term of four years. Although former Vice President Atiku Abubakar, Buhari’s main challenger, who ran on the platform of Peoples Democratic Party (PDP), is kicking against the verdict, the declared winner would continue to bask in the euphoria of victory, at least for now. As the challenger makes good his vow to mount a robust legal challenge of the result, those who are not challenging the result should do well to examine their respective performance, with a view to acknowledging whether the entire exercise was worth its while. It will also provide a basis for knowing what to expect in future elections, as well as lessons that will shape political behaviour next time. A good number of fringe party candidates very well knew that the variables did not favour them as far as the contest was concerned. For the most, their party structures were new, and lacked the ground game required to give the established parties a run for their money. For the most part too, many of the smaller parties tended to have their ambitions driven, not by organic movements at the grassroots levels, but by the general push for a paradigm shift in the mode of politics in Nigeria. These candidates who ran on the platform of the less prominent political parties, even at the risk of recording embarrassing vote tallies were motivated by the need to pass the message to Nigerians that the time had come for the country to move away from its current brand of politics, with very limited youth and development content. Another dimension of the participation of the fringe party candidates has to do with the disruptive ideas they introduced into the political space. What they lacked in deep pockets they made up for with savvy use of technology to organise their support base. Beyond using technology for the purpose of political organisation, fringe parties and their candidates made attempts to push the governance debate in a new direction reflecting the need for participation, inclusion and service delivery. Fringe parties’ candidates, especially the younger elements on the ballot apparently wanted to defy the established political norms by registering their presence on the ballot. 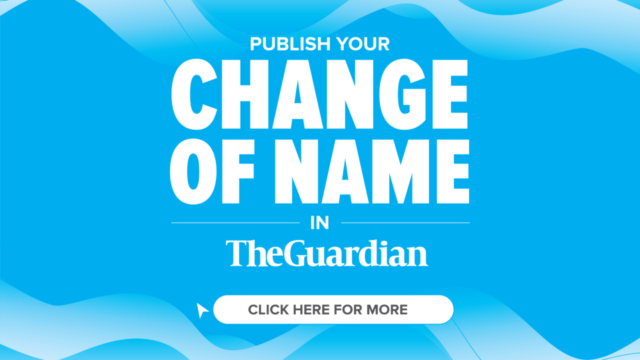 These candidates probably were keen to make the cut on the ballot to remind the electorate and the grand fathers in the political sphere, that across the world, the best political practice was for young men and women in their prime to aspire and realise their aspirations to lead their countries. For the most therefore, the candidates who participated on the platform of the less known parties, tried to interrogate, and even challenge the major elements that have shaped Nigeria’s political participation since the Second Republic. Those objectives, it could be argued, were largely met because the Nigerian people were presented with options. Even if the electorate has refused to choose now, they may as well reflect on the choices presented to them and eventually engage in a much more thoughtful process in future. However, it has to be conceded that the electorate would only respond to the calls for a paradigm shift, if the candidates were better able to understand the political dynamics and mobilise the electorate accordingly. 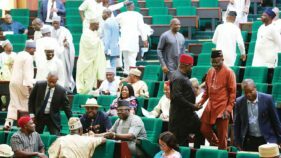 On the flipside however, there are some other realities, which tend to portray the fringe party candidates as unknown political quantities, who have not summoned the courage to come to terms with their limitations in the political space. The idealism of a good number of the fringe party candidates also needed to be balanced with cold calculations relating to what point to start the process of energising voters to push for change and pitch their tent with new political brands. As such, many of the candidates were too attracted by the allures of powers and trappings of Abuja, that they pretended no other governance structures could be activated for the good of the electorate. ACCORDING to the Presidential election results released by INEC, Nicholas of the largely unknown Peoples Coalition Party (PCP) came third in the standing with 110,196 votes, representing 0.40 percent of the total valid votes cast. This feat is much of a surprise given the fact that not much was heard about the candidacy during the campaigns. Other more vocal fringe party candidates who had more media mileage surprisingly could not muster up to 100,000 votes across the 36 states and the Federal Capital Territory. With the capacity he showcased to get the number of votes he did, Mr. Ncholas could as well get back to the drawing board and reflect on whether the Presidency should be his first starting pointing. A candidate who could get the number of votes he did across the country, is capable of organising to win at the level of the Senate. If he is able to get himself to the red chamber, it could be the catalyst to begin a political career, which may be a straight line to the Presidency, which he so much covets. The admonition for him is not to let this milestone go unnoticed, but to use it as stepping-stone to pursue realistic political goals. DONALD Duke of the Social Democratic Party (SDP) was involved in a last minute struggle for the Presidential ticket of his party, with judicial somersaults over whether it was Jerry Gana or Duke who should legitimately hold the ticket. Even if there were no such distractions, it would appear his standing on the ballot would still not be different from what it is. His repudiation of the two establishment parties, and the push to inspire a new platform of ideas appears to be long in coming to fruition. Duke placed ninth of the election results standing with 34,746 votes. Going forward, he would have to rethink his presidential bid in several respects, including how to organise across geo-political contexts, such that his candidacy does not resonate in only one part of the country. Good enough, as a former state governor, he would have friends and former colleagues to reach out to if he believes the presidential project is still feasible in the future. OMOYELE Sowore of the African Action Congress (AAC) was one of the very vocal candidates who tried as much as possible to disrupt the space, and take the fight to the establishment politicians during the campaigns. Going by his viral encounter with the Minister of Communications, Adebayo Shittu during a testy radio chat, the AAC Presidential candidate had a lot to prove in showing that the new breed candidates could mobilise the electorate to reject the current situation. With a 10th place showing in the election, the Sahara Reporters publisher could only manage to get 33,953 votes. Although, unlike many other candidates, Sowore was able to record defeat of the establishment politicians in his Polling Unit, as one of the symbolic victories, it is now time to get back to the drawing board. His party is currently in the mix in the contest for the governorship of Rivers State, especially with the reported backing it is getting from the APC. Besides that, Sowore enjoys a core of committed followers, who are young and energetic; they could be the basis for a political movement capable of springing surprises in the polity in subsequent elections. Sowore may as well invest time and mobilise resources to build up this movement and use it to cause a major change in his immediate constituency, whether Lagos, Ondo or Abuja. Whatever he aspires to in the future would be largely dependent on how well he is able to nurture the initial efforts from 2019. MOGHALU of the Young Progressives Party (YPP) ran a strong campaign; despite being a fringe party candidate, he manage to stay in the limelight by constantly making the clarion call for a paradigm shift in Nigeria’s politics. Those efforts do not appear to have yielded much response in the immediate, as the YPP flag bearer placed 14th in the result with 21,886 votes. This poor showing in the polls notwithstanding, Moghalu can take consolation in the belief that a time could come in the future when the electorate would warm up to the message for a paradigm shift in leadership and politics. However, the period between now and when the message eventually resonates with voters should be used to create structures and deepen engagements with Nigerians at the local level. In 2023, the national sentiment would be favouring the South East geo-political zone to produce Nigeria’s President. If he builds a stronger and much more active political machine on the ground, should be in the mix. If he is truly interested in the top prize therefore, the real time for the hard work of building bridges and coalitions has just stared. Meanwhile, let’s pray that Ifeanyi Ubah, the only YPP senator-elect from Anambra stays. His presence in Lagos for the governorship campaigns did not represent one who has staying power, in the event the authorities decide to make a bargain. With EFCC still very active, you never can tell. APART from a few billboards scattered across the country, and appearances at the debate podium, Durotoye’s bid for the Presidency was a chastening reminder of the odds against those who aspire to take on the task of wresting the political space from the current power holders. 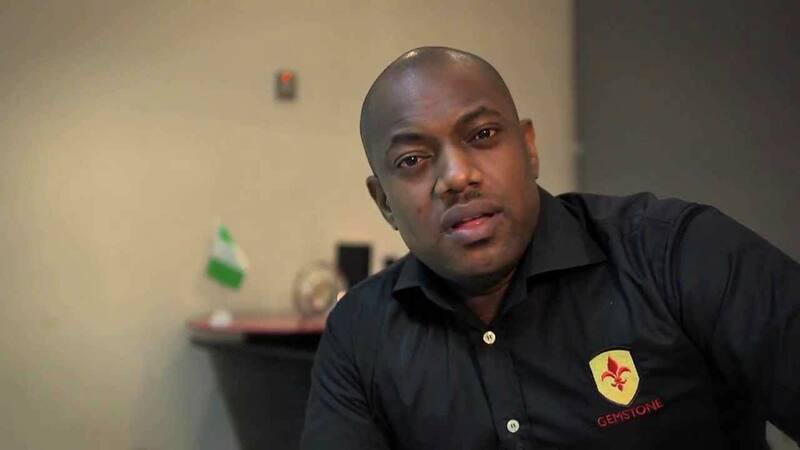 Running on the platform of the Alliance for New Nigeria (AAN), Durotoye, like other fringe party candidates has learnt some valuable lessons, which could shape his political career. With 16,779 from across the country, Durotoye must now be aware that his political career has to unravel from humbler beginnings. Winning the Presidency of Nigeria is not a stroll in the park; the political terrain is far too complex for mere aspirations. Part of the push for the Presidency should include some learning of the ropes at much smaller levels of political competition. For the motivational speaker and leadership coach, some years with a seat at the National Assembly would be a good initiation to understanding the unstated ground rules of the Nigeria’s complex political process. FASUA of the Abundant Renewal Party (ANRP) ran a decent campaign focusing on some smart ideas, which won him some accolades, especially during some of the debates. With 4,340 votes across the country, Fasua should come to terms with the fact that the road to the Presidency is a long one, requiring much more political clout than he is able to muster at the moment. Therefore, while he maps his way to the Presidency, a much realistic path could as well be a seat in the National Assembly, where some of his interesting ideas about nation building could help deepen the conversation about governance. APART from Oby Ezekwesili, who later withdrew from the race, Atuejide was one of the prominent women voices in the contest for the Presidency. Running on the platform of the National Interest Party (NIP), Atuejide was able to get only 2,248 votes across the federation. She may however take consolation in the notion that her presence on the ballot would have inspired young girls and other women to realise it is well within their rights to participate and aspire at whatever level of politics and governance. Her future prospects for the Presidency would depend on getting further visibility, and participating in collective grassroots efforts to build a viable political movement capable of winning power.